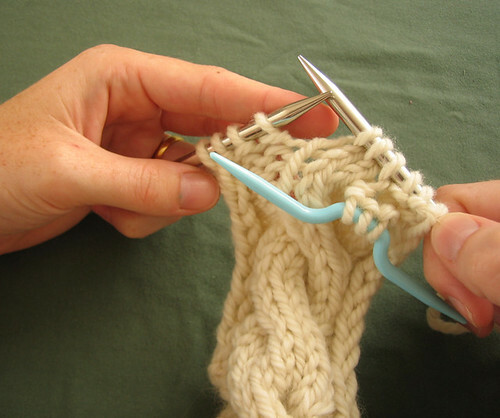 Cables in knitting are formed by crossing stitches, and creating a twist in the fabric. Every cable pattern is basically just a variation on this theme. 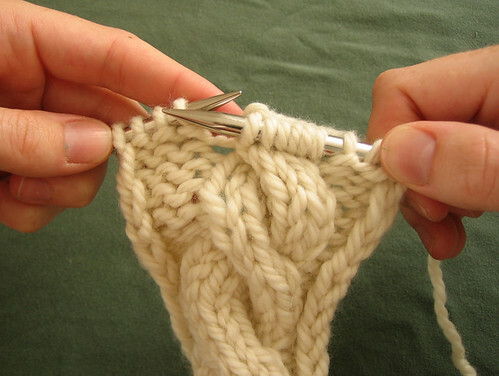 This tutorial illustrates how to cable by knitting a very basic 6-stitch cable. 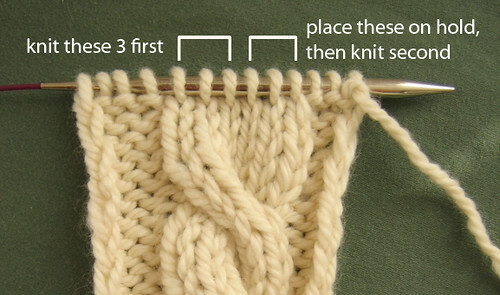 As you see below, you will be knitting the leftmost 3 stitches first, then the rightmost 3 stitches, and this re-ordering of the stitches will form the cable crossing. 1. 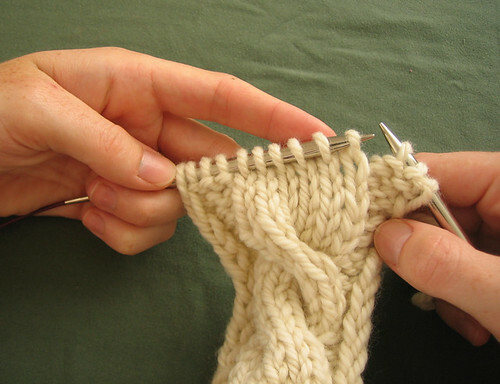 Knit (or purl) along until you reach the 6 stitches that form the cable, then stop. 2. 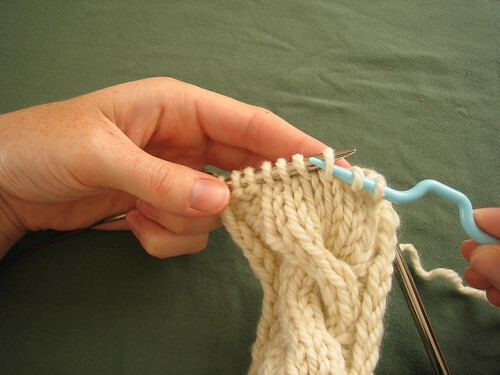 Slip the first 3 stitches of the cable, one at a time, from the left-hand needle onto a cable needle. This cable is a front-cross cable, which twists to the left, and so you will just let the cable needle drop to the front of the work. If you were working a back-cross or right-twisting cable, you would drop your cable needle to the back of the work. 3. Knit the next 3 stitches from the left-hand needle. 4. Lastly, knit the 3 stitches that were on hold on the cable needle. 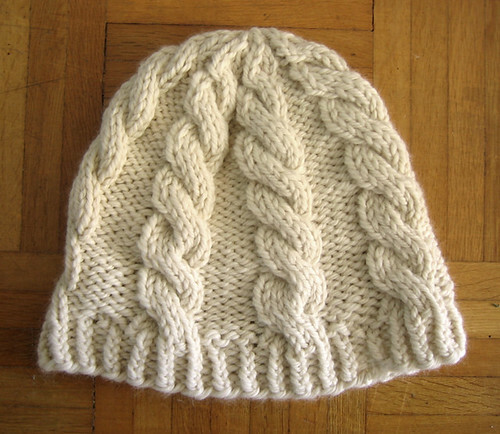 This 6-stitch cable is the cable pattern used in my Chunky Cable Hat – a free pattern.